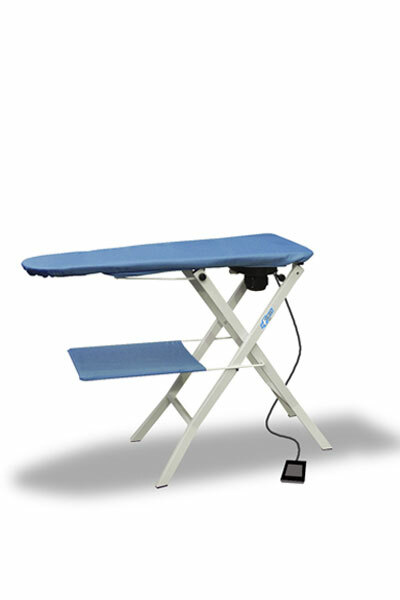 Heated folding ironing table, adjustable in height with vacuum. It can be connected with a steam generator 413.00 or 414.00 or with an iron stand. Packed in cardboard box. - temperature control of the working surface by thermostat 0°-120° C.